The Fourth Circuit opinion also addressed whether Finch might be guilty under the felony-murder rule, which would require only that he participated in the robbery, even if he did not shoot Holloman. The court identified two problems with this argument. First, though the state now says that Finch’s conviction relied on the felony-murder rule, the trial court “provided inconsistent instructions to the jury regarding felony murder but ultimately required the jury to find that Finch fired the fatal shot in order to convict him of first-degree murder.” Second, if Jones misidentified Finch, and he was not actually present for the robbery, he could not be guilty even under the felony-murder rule. “Criminal liability under any theory, including the felony-murder rule, would not attach to Finch if there is no evidence that he was at Holloman’s store during the murder,” the opinion stated. (Olivia Neeley, Federal court rules in Finch’s favor, The Wilson Times, January 28, 2019; Josh Shaffer, He’s spent 43 years in prison. 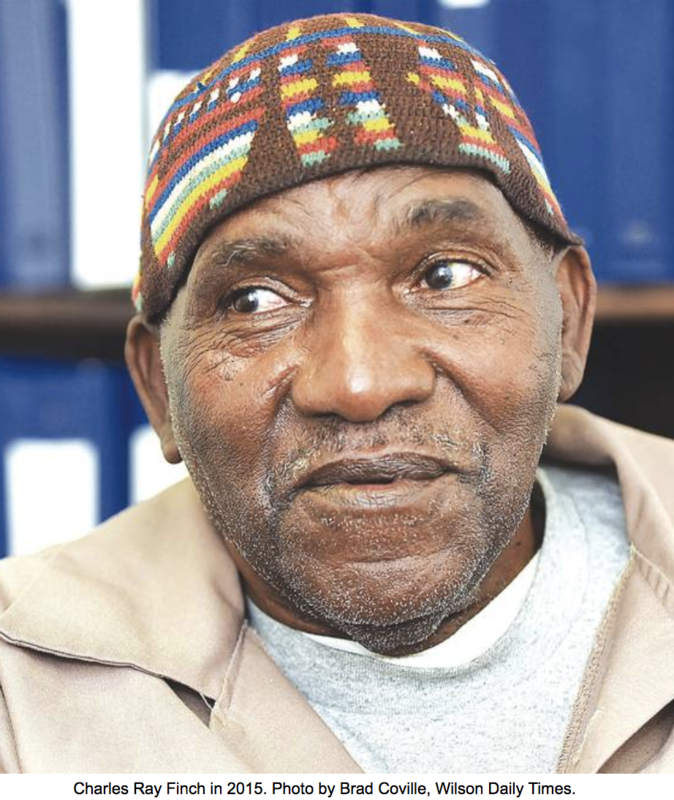 Now judges call his murder conviction a ‘miscarriage of justice.’, Raleigh News & Observer, January 30, 2019; Antionetta Kerr, 80-Year-Old Sentenced to Death Could Be Exonerated Soon, Public News Service–North Carolina, January 31, 2018; Press release, 43 years after death sentence, Charles Ray Finch proves his innocence, North Carolina Coalition for Alternatives to the Death Penalty, January 31, 2019. Photograph by Brad Coville, courtesy of the Wilson Daily Times.) Read the 4th Circuit’s opinion in Finch v. McKoy. See Innocence.